The Sea Ray 420 Aft Cabin carries with it the Sea Ray tradition of quality and performance. 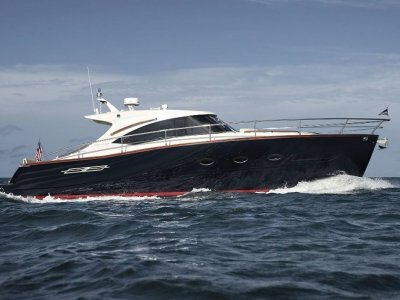 Over 46 feet in length this is a big volume motor yacht, with a high forward helm offering excellent visibility. 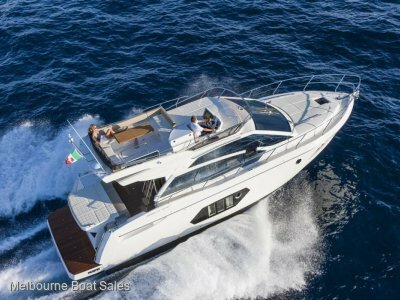 The Sea Ray 420 Aft Cabin is a vessel that combines elegant looks with an efficient and practical hull, making for an all-round excellent cruising motor yacht perfect for extended trips. Powered by Twin Cummins Diesel Engines and Shaft Driven, the vessel can carry that tradition to some very exotic locations. 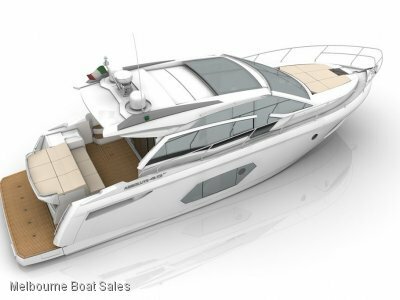 A big winner for this boat is the generous and neatly appointed full beam master aft cabin with ensuite and forward cabin also with ensuite. These ensure a wonderful level of comfort and privacy and whilst utilising the electric dinette in the main saloon, you allow 6 adults a comfortable evening aboard. 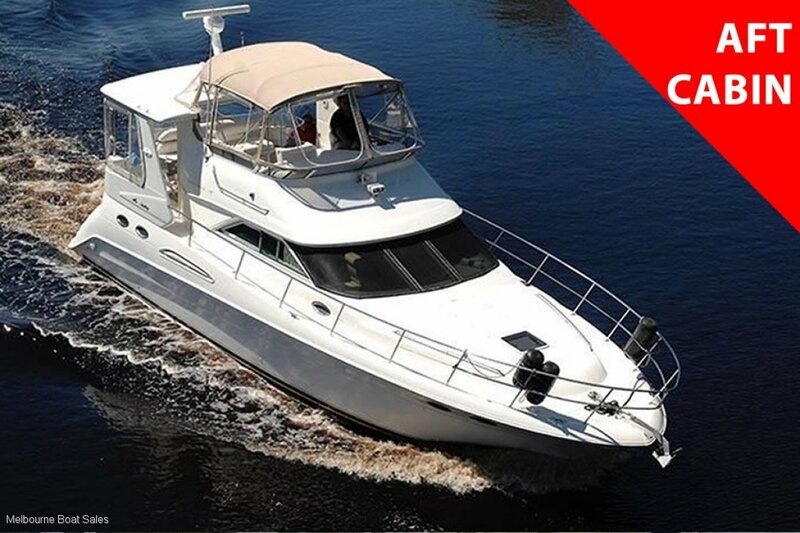 Quality appointments, spacious accommodations and superb seaworthiness provide a cruising environment that will please the most discerning owner. With new stock regularly coming in, associated dealers Australia wide and bottom drawer listings your ideal boat could be waiting for you. Register your details with us and we will do our utmost to find you the perfect boat. Just some of the brands we can offer include; Absolute, Chris Craft, ZAR Formenti, Riviera, Sea Ray, Jeanneau, Four Winns, Mustang, Beneteau, Maritimo, Caribbean, Princess, Sunseeker, Meridian, Sunrunner, Bayliner, Grady White, Fairline, Boston Whaler, Chaparral, Horizon, Monte Fino, Chris Craft, Regal, Bertram. WE'RE HERE TO HELP MAKE BUYING YOUR NEW BOAT EASY. . . Located at the centre of Melbourne's boating hub we are Melbourne's leading dealer in new and pre-owned brokerage boats. Find us a stone's throw from Etihad Stadium on Victoria Harbour Promenade. Whether buying or selling, please do not hesitate to contact us. We look forward to hearing from you.